About Us | PT Toba Pulp Lestari Tbk. 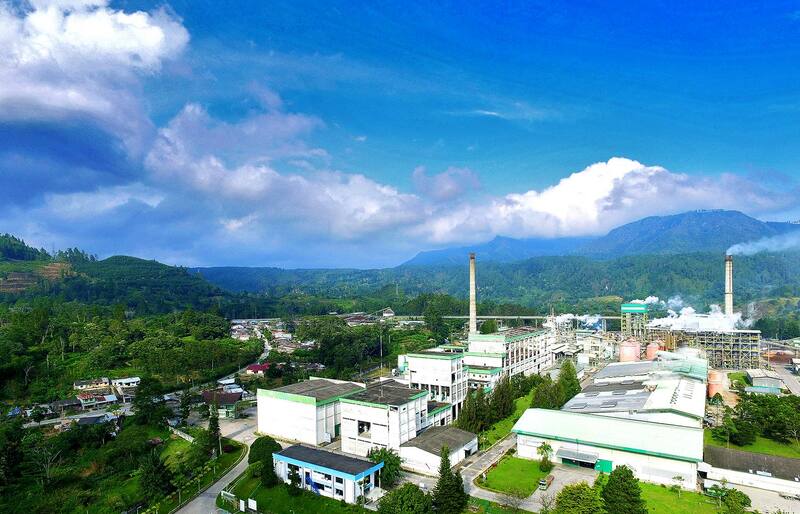 To become a well-managed eucalyptus pulp factory, and to become a supplier preferred by our customers and a company preferred by our employees. To become a cost effective producer. To maximize profit for stakeholders and contribute to socio-economic improvement of the local and regional community. To create value through modern technology, industrial knowledge, and human resources. The shares of PT. Toba Pulp Lestari Tbk (code INRU) are registered at the Indonesian Stock Exchange. 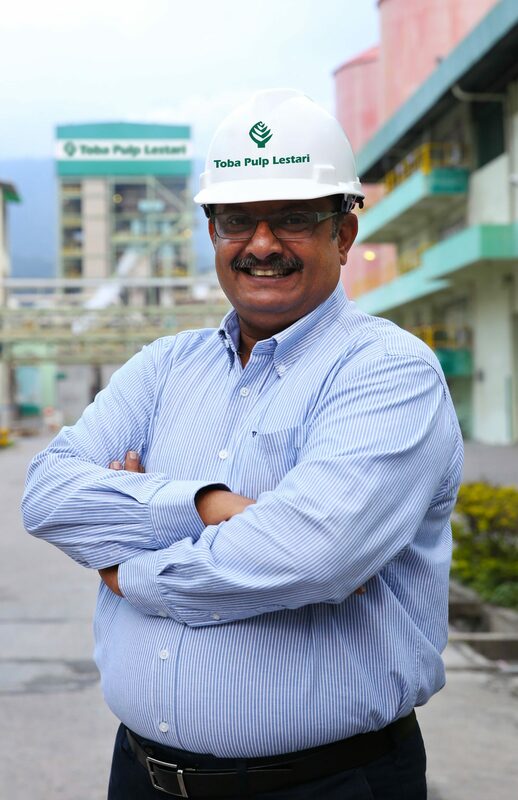 PT Toba Pulp Lestari Tbk (“the Company”) was incorporated under the Law on Domestic Investment No. 6 of 1968, in conjunction with Law No. 12 of 1970, by virtue of deed No. 329 dated April 26, 1983 from Misahardi Wilamarta, SH, a notary in Jakarta. The deed of incorporation has been validated by the Minister of Justice of the Republic of Indonesia in his decree No. C2-5130.HT01-01 TH.83 dated July 26, 1983, and was announced in the State Gazette of the Republic of Indonesia No. 97 dated December 4, 1984, Addendum No. 1176. The company status was later changed to Foreign Investment which was approved by the President in the Decree No. 07/V/1990 dated May 11, 1990 issued by the Chairman of the Investment Coordinating Board. 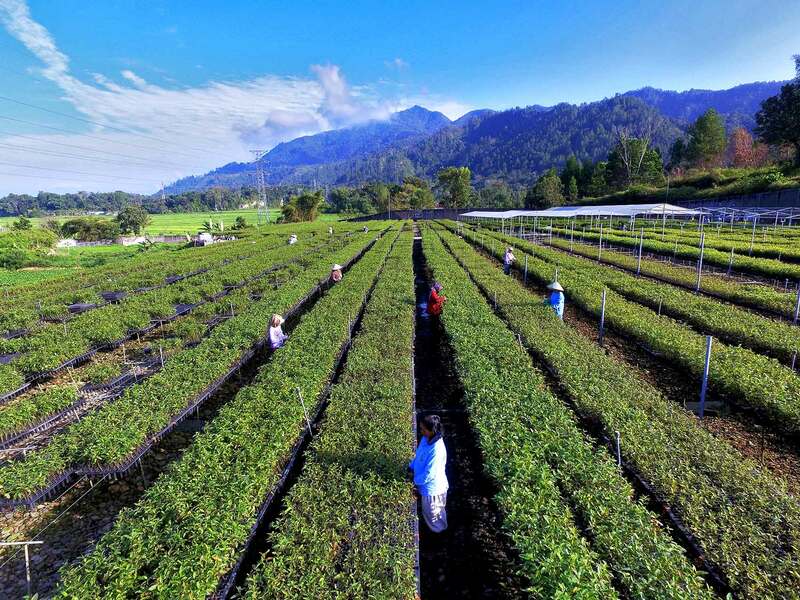 The company is domiciled in Medan, North Sumatra, with a factory located at Sosor Ladang Village, Pangombusan, Kecamatan Parmaksian, Kabupaten Toba Samosir, North Sumatra. According to Article 3 of the Articles of Association of the Company, it conducts activities in construction and operation of pulp and viscose rayon industry via construction, operation, and development of, including but not limited to, industrial and other industrial plantation forest to supply raw materials for the industry, construction and production of all goods made of the materials, and marketing of the products of the industry. Currently the company produces pulp for domestic and overseas markets. The company also has land concessions to plant and collect timber for production of pulp. President Director, born in Ernakulam Kerala, India on October 12, 1966, completed (Civil) Bachelor of Engineering at Thapar Institute of Engineering and Technology (deemed University) in 1991. Started career at Asian Tech LT 11 as a Project Engineer in 1991, and in 1995 moved to Links India Home Private Limited as a Project Engineer. In 1997 moved to PT Truba Jurong Engineering as a Project Manager. In 2003 moved to a company in Riau as a Project Manager, then was promoted to Deputy Wood Supply Coordinator in 2005, Deputy Fiber Head in 2006, Fiber Head in 2007, Fiber Supply Head in 2009, and Fiber Supply General Manager in 2010. 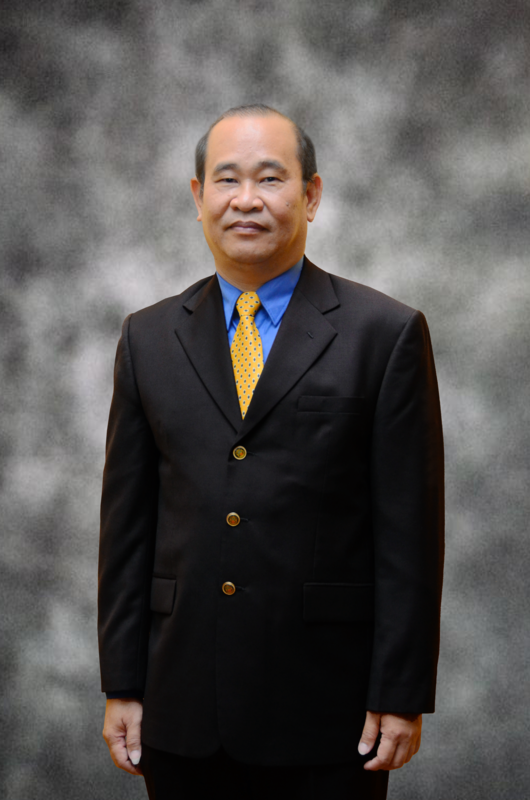 In 2013 moved to a company in Kalimantan as the President of Kalimantan Fiber. On December 2, 2016, appointed the Company President Director by virtue of Extraordinary General Meeting of Shareholders. Born in Lhokseumawe, Aceh, November 16, 1967. The alumnus of Industrial Chemical Technology Education (PTKI) in Medan received a Bachelor degree in Chemical Engineering. Currently, Wilim is the Deputy President Director of the Company. He served as Chemical Division Deputy Manager 1998 - 1999, Production Department head from 2000 - 2004, Technical Department Head 2005 - 2006 and HRD Department Head 2006 to present. 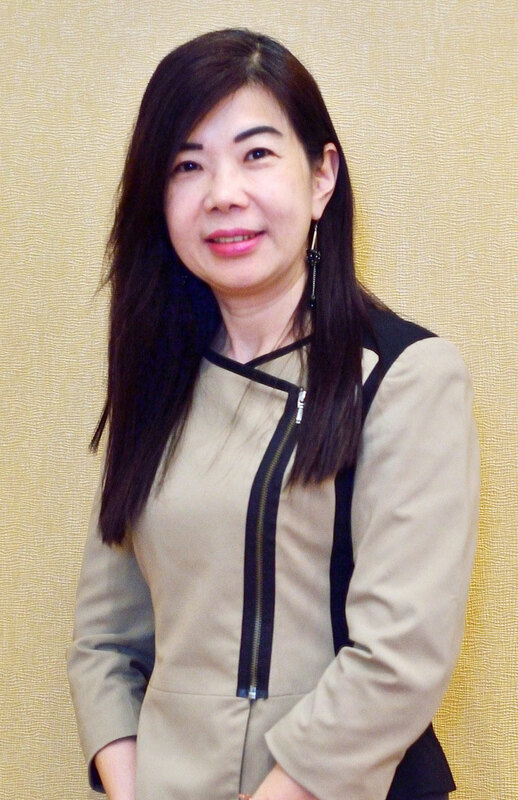 Appointed as Deputy President Director of the Company on June 7, 2018 through Annual General Meeting of Shareholders. Director, born in Sibolga, on March 5, 1964. Completed Civil Engineering at Polytechnic Department of University of North Sumatra. Started career at the Company as a Supervisor Civil Engineer in 1987-1989, then worked as a Civil Maintenance Engineer from 1989 to 1991. In 1991-1992 worked as the Deputy Civil Construction Manager, then as the Civil Engineering Superintendent in 1993-1994, followed by Head of Civil Department in 1995-1997. From 1997-2002, he was assigned as General Affair and License Manager and then appointed Director from 2002-2009. 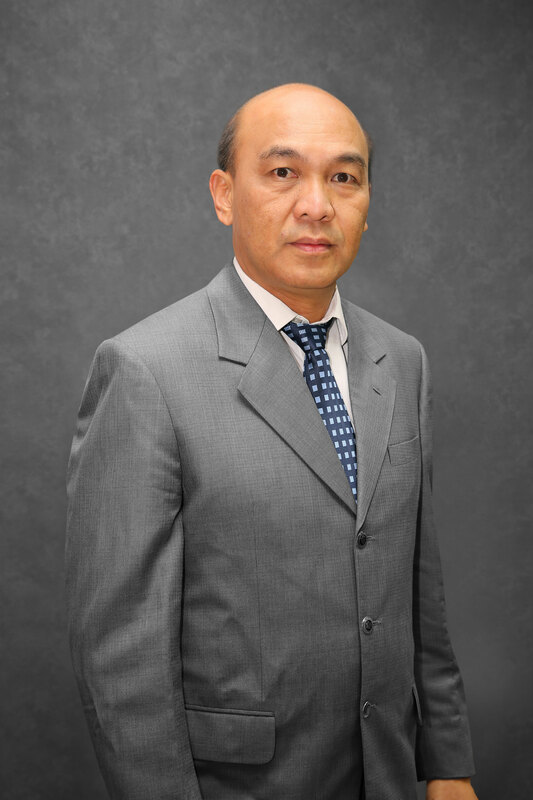 He then held the position of Social Security and License Manager from 2009-2010, before moving to another company as Director in Riau until 2015. Since May 29, 2015 by virtue of the resolution of the Extraordinary General Meeting of Shareholders, he was appointed the Director of the Company. Director, born in Medan, on July 18, 1974. Graduated from the Faculty of the University of North Sumatra in 1998, then secured notary specialization from the University. Started career as a legal staff member at PT. Raja Garuda Mas Indonesia in 2000. In 2002, moved to PT. Supra Matra Abadi. Joined the company in 2008 as the Legal Manager before being appointed the Director of the Company through the Extraordinary General Meeting of Shareholders on May 15, 2009. 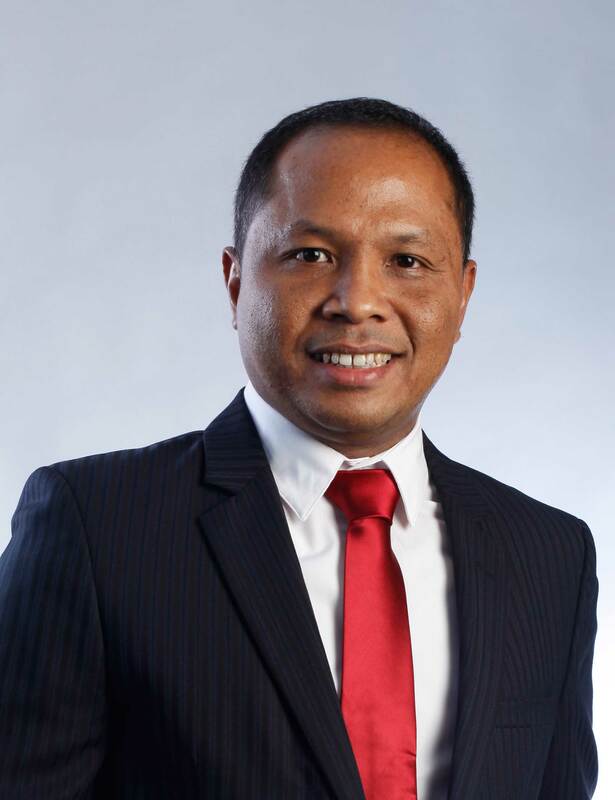 Director, born in Palembang on September 23, 1967, completed Bachelor of Accounting (Tridinanty University) in 1992 and Master in Finance (Universitas Indonusa Esa Unggul) in 2004. 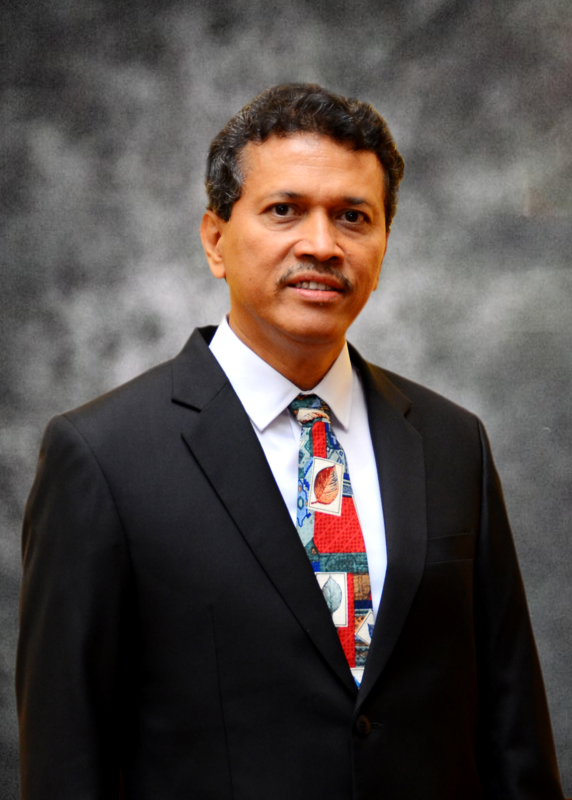 President Commissioner, born in Yogyakarta on January 17, 1970, completed Bachelor of Philosophy at Driyarkara Philosophy Academy in 1986 and Bachelor of Theology at Melbourne College of Divinity in 2001. Started career at Maverick as an Associate in 2001, and in 2003 moved to Indo Pacific as a Manager. In 2006 moved to PT Sari Husada as a Manager, then in 2009 to Danone Indonesia as a Manager. In 2010 moved to Edelman Indonesia as a Director, and in 2013 moved to a company in Jakarta as a General Manager. On December 2, 2016, appointed the President Commissioner of the Company by virtue of Extraordinary General Meeting of Shareholders. Commissioner, born in Saribu Dolok, Kabupaten Simalungun, North Sumatra, August 26, 1939. Alumni of Jakarta Pedagogy and Education Institute and gained the title of Bachelor of Education. Currently Sabam Leo Batubara is a columnist in various print media and has lectured at Dr. Sutomo Press Institution (LPDS) since 1998. He was a senior editor at Suara Karya until September 2009, the Chairman of Newspaper Publisher Association from June 1978 to June 2008, and Deputy Chairman of the Press Council from 2006 to 2010. He holds a position as the Commissioner of the Company through the Annual General Meeting of Shareholders for the Financial Year 2003 on August 15, 2003. 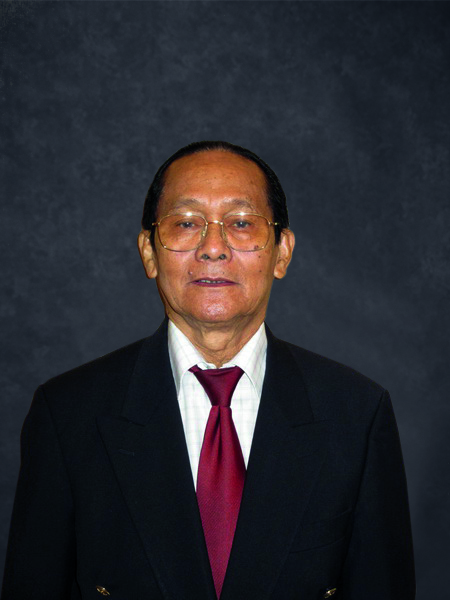 Independent Commissioner, born in Pangaribuan, Tapanuli Utara, April 9, 1941. He earned a Bachelor of Law from the State University of North Sumatra, and in 1966 started a career as a civil servant at the Regional Government of North Sumatra. In 1976 he became Head of Legal Bureau of the Regional Government, the Province of North Sumatra until 1980, and was then appointed the Regent (Bupati) of Tapanuli Utara until 1985. He became Chief of Tourism Services in 1986 until 1989, then was appointed as the Regent of Tapanuli Utara from 1989 to 1994. 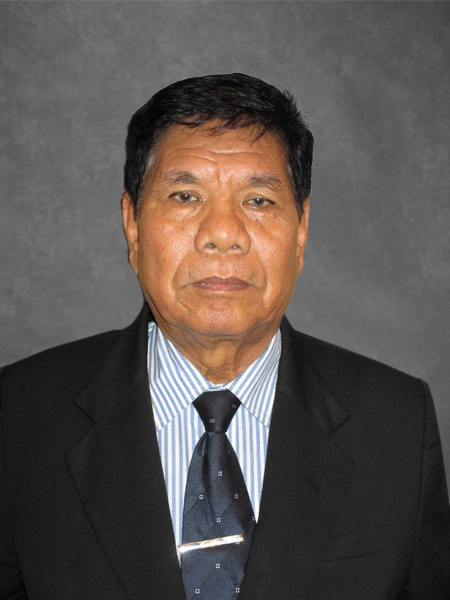 After leaving the position as the Regent of Tapanuli Utara, Lundu Panjaitan was appointed Chairman of the Regional Investment Coordinating Board in 1995. In 1999, he was appointed the Deputy Governor of the Province of North Sumatra and retired as a government employee in 2003. From March 2005 to October 2009 he was a member of the Regional Representative Assembly. Through the Extraordinary Meeting of Shareholders of the Financial Year 2003 on August 15, 2003, Lundu Panjaitan held the position as the Independent Commissioner of the Company. Born in Jakarta, November 7, 1962. Doctor of Philosophy degree holder from University of Wisconsin - Madison, USA, in 2015 is a Master of Science and Bachelor of Forestry degree from Bogor Agricultural University (IPB). Elisa Ganda Togu Manurung started his career as a staff at the Faculty of Forestry in IPB in 1986. He then became a consultant in various organizations and institutions in the field of Forestry. 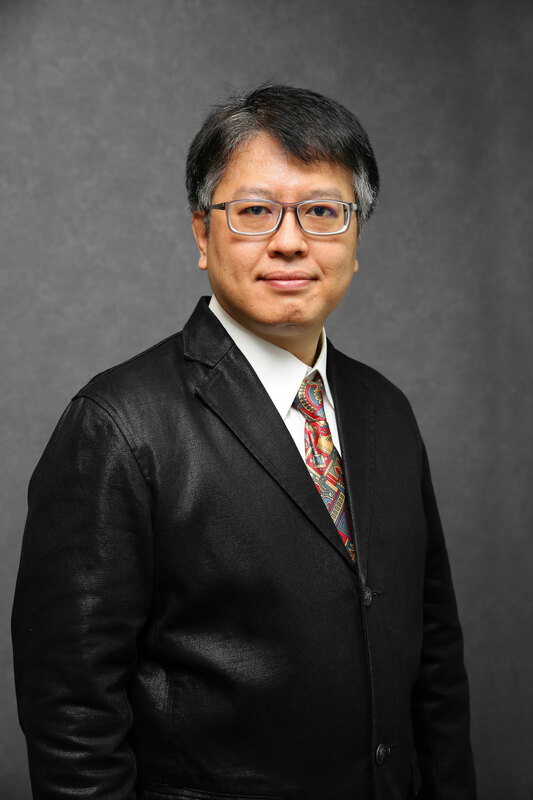 In 1997-1999, he served as Deputy Director of World Wide Fund for Nature (WWF) - Indonesia and Chairman of the National Forest Program Team at the Indonesian Forestry Consultative Group - Ministry of Forestry and Plantation Republic of Indonesia in 1999-2000. Since 2000 until now, Elisa Ganda Togu Manurung is active as a consultant in several non-profit institutions and is still actively teaching in IPB. Appointed as an Independent Commissioner of the Company on June 7, 2018 through Annual General Meeting of Shareholders. PT Toba Pulp Lestari Tbk is a global company that produces pulp, and develops forestry and other industry concessions to support the production of raw materials. The Company has public information including information on total production, forest management practices, labor and infrastructure and a summary of monitoring and evaluation. If you need this information, please contact our Corporate Secretary. Our CSR program covers the areas of economy, health, education and social.